For personal or charitable use only. LGN, 2012. * I had some ravelry comments that mentioned that the long strands can be difficult to deal with if you’re a novice at stranded colourwork. If you are doing more than 5 or 6 consecutive stitches in one colour, just tuck the other strand around every 4 to 5 stitches. 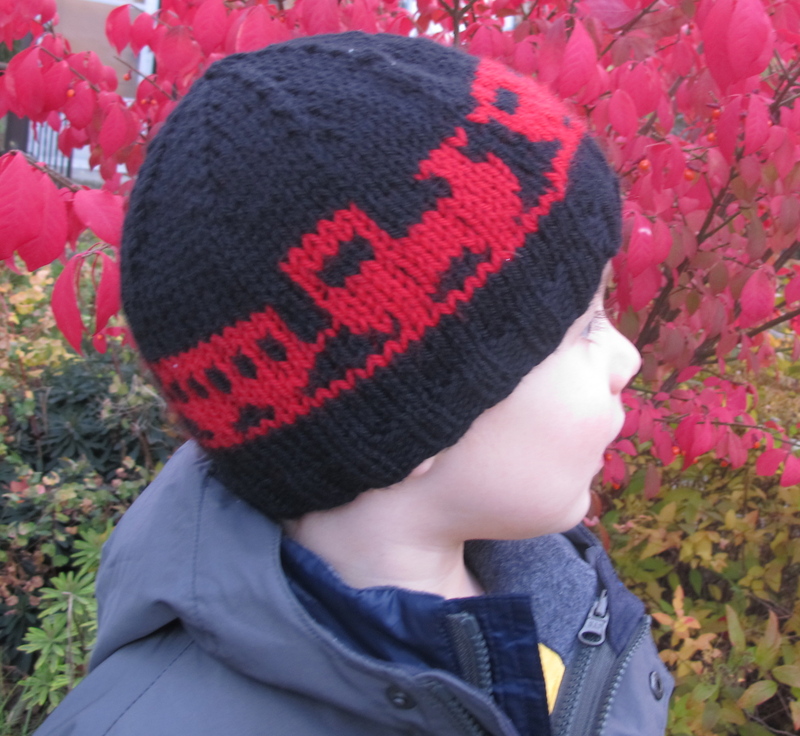 This entry was posted in Toddler knits and tagged hat, pattern, toddler, train, worsted on October 25, 2012 by lisagono.